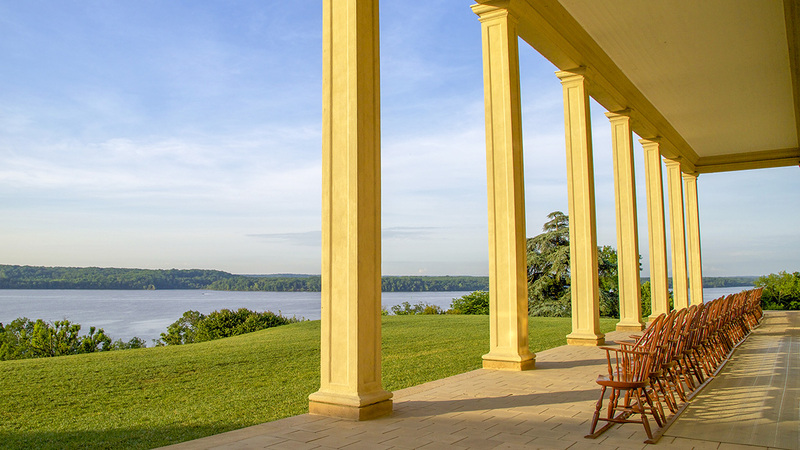 Situated on a hill overlooking the Potomac River approximately fifteen miles south of Washington, D.C., this plantation was the home of the first U.S. President, George Washington. 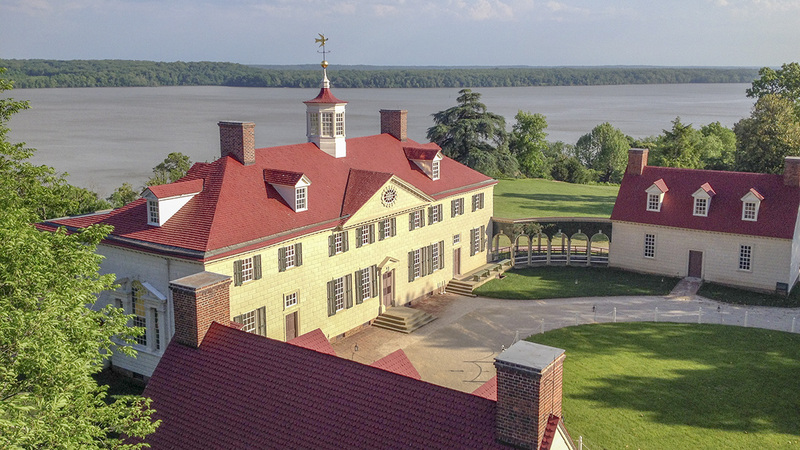 Washington added several parcels to the land owned by his family since 1674 and was actively involved in designing the estate, ultimately totaling approximately 8,000 acres of fields and woodlands. 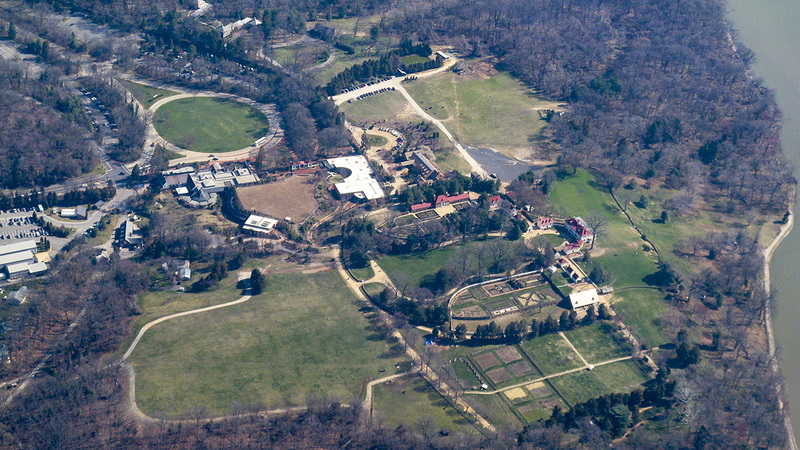 The Georgian-styled mansion lies at the end of an expansive central lawn, known as the Bowling Green, which is symmetrically bordered by serpentine avenues, mature shade trees, and an upper and lower garden. The upper garden is a formal pleasure garden with six planting beds separated by wide gravel and clay pathways and planted with rows of vegetables and fruit trees at the center, bordered by boxwood hedges, ornamental trees, and flowering plants. 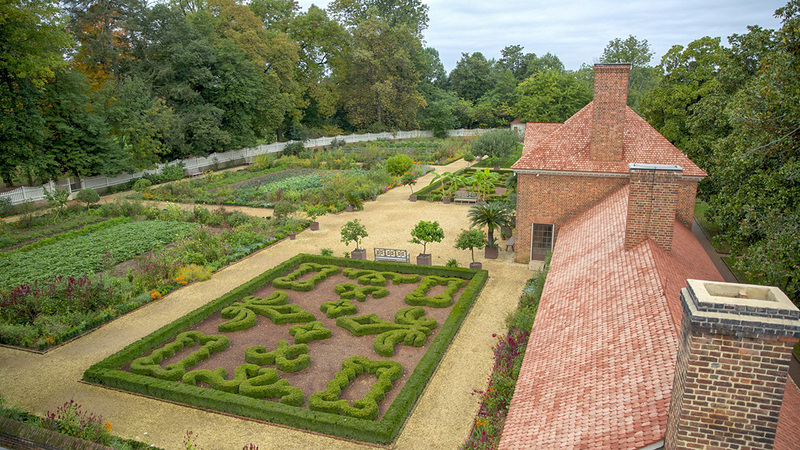 A greenhouse to cultivate tropical plants is a focal point of the upper garden, while a kitchen garden (known as the lower garden) southwest of the Bowling Green was more utilitarian in purpose, planted with fruits and vegetables for household consumption. A fruit garden is located adjacent to the lower garden and features apple, pear, cherry, peach, and apricot trees, as well as a nursery for various plants, including grasses, vegetables, and ornamentals. 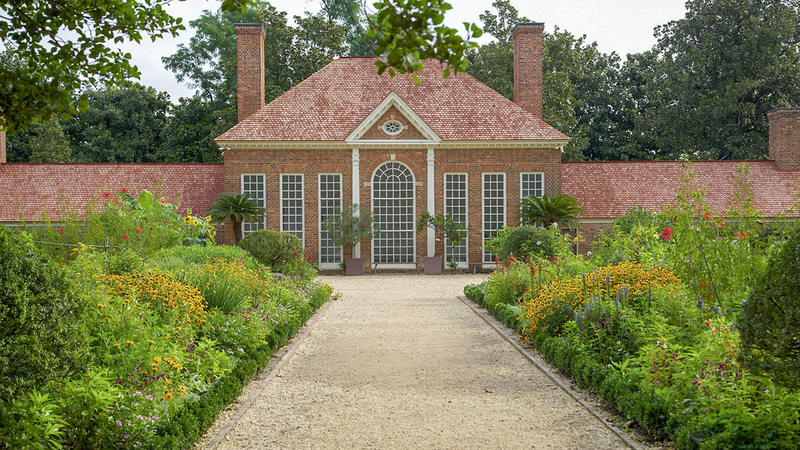 Washington also maintained a small botanical garden where he experimented with new plant varieties. George and Martha Washington, along with other members of their family, are buried in a tomb on the property. A memorial commemorating the enslaved people who lived and worked on the estate was completed in 1983. Today, the Mount Vernon Ladies’ Association (established in 1853) owns and maintains 500 acres of the property. 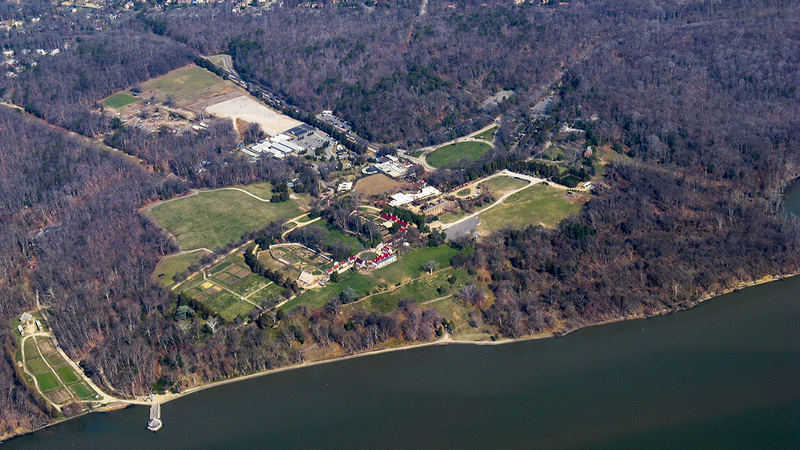 Mount Vernon was designated a National Historic Landmark in 1960.